Doing business or on holiday in Japan? You can definitely get the best business or holiday if you can understand and speak the Japanese language! Perhaps you are an explorer travelling in Tokyo and found yourself lost in translation? 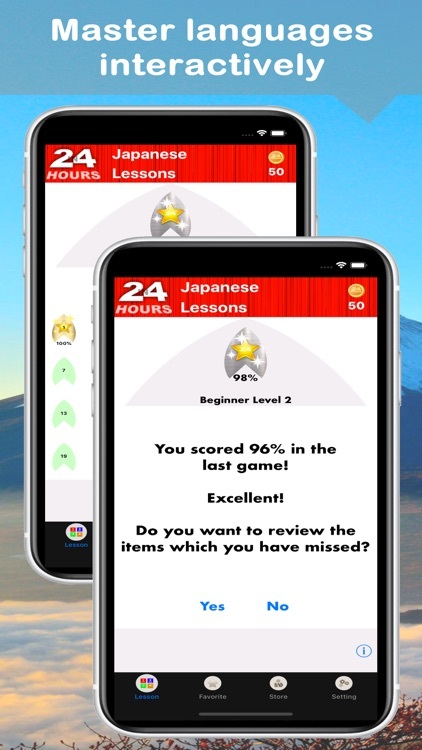 No worries, you can now conquer the language barrier between you and a Japanese speaker with this app. Too busy to enrol on a proper Japanese language course or perhaps it is too expensive? Tell you what, you're not the only one and we now have a solution. This app is designed to work with your active lifestyle at your own pace! 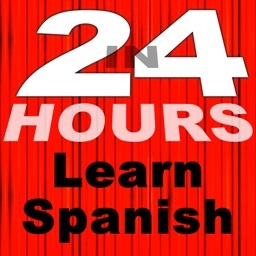 With the audio feature of this app, you can always learn while on the go. Whether you are driving, on the bus or train, jogging in the park or perhaps relaxing in bed, just plug in your earphones and start learning! 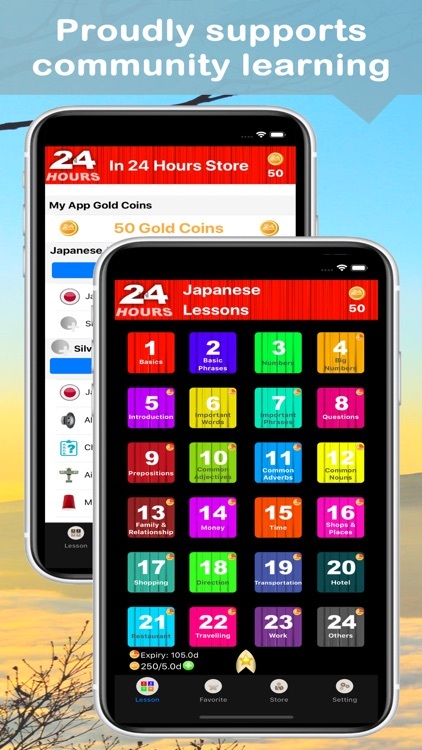 This app gives you the easiest and most hassle free way to learn the Japanese language! Whether you are an academic student, tourist, explorer, adventurer or businessman, this app will make sure you speak Japanese in 24 hours!